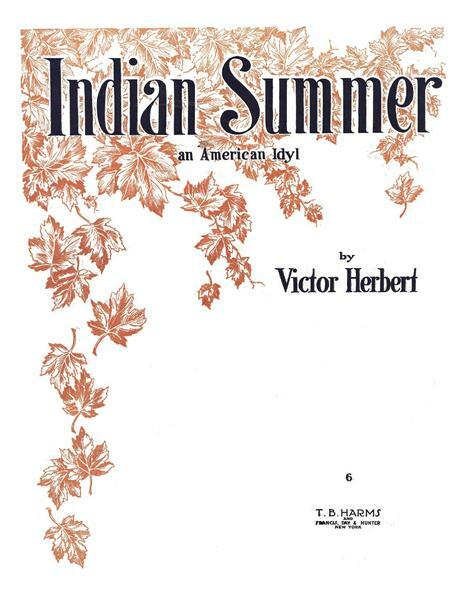 Herbert wrote the tune in 1919, but the song did not become a standard until much later. 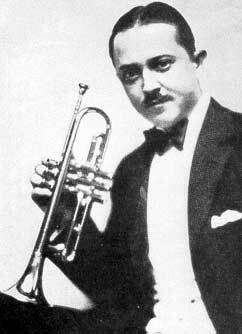 Sheet music exists for Everett Hoagland and Don Reid versions, dating to 1934 and 1939 respectively, but the provenance of the second of these, at least, is doubtful, as Reid may not even have formed an orchestra until 1944. 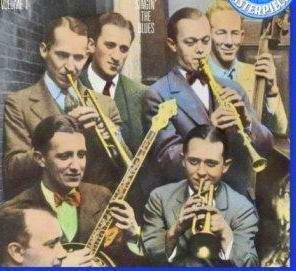 Dubin wrote his lyric for the song in 1939 and in 1940 Tommy Dorsey’s orchestra, with vocalist Frank Sinatra, took it to number one on the American Hit Parade. Sarah Vaughan — 1985, according to the provider, but I’ve been unable to find anything under the title given for the laserdisc. Mandy was originally used for the Army relief show called Yip Yip Yaphank during World War I (but later cut). For the number, soldiers in the show dressed in blackface and in drag. 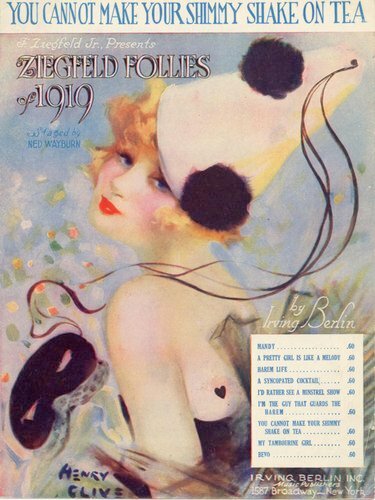 The number became a hit when it was re-used in the Ziegfeld Follies of 1919, where it was performed by Eddie Cantor and Marilyn Miller. A Pretty Girl is Like a Melody (Irving Berlin) – Berlin gave at various times interesting descriptions of how he came to write the song. Some of these have been collected and republished in The Complete Lyrics of Irving Berlin, 2001, p. 186. 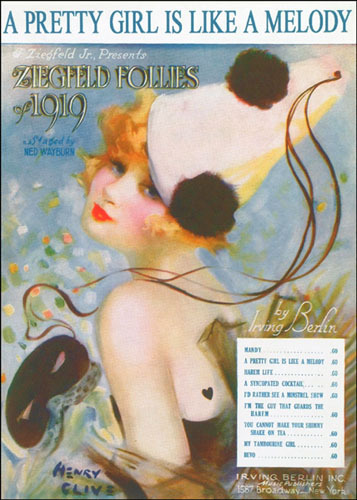 Eddie Cantor introduced the song during the New York run Ziegfeld Follies of 1919. 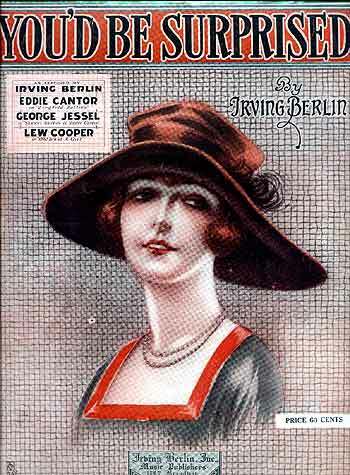 The Complete Lyrics indicates that Berlin performed the sung in vaudeville. Alice Delysia (1889-1979), the French actress and singer who became a star in London, here gives her own very personal rendition of Irving Berlin’s hit song, ‘You’d Be Surprised.’ This was included in Afgar, an extravaganza adapted from the French by Fred Thompson and Worton David, which was produced at the London Pavilion on 17 September 1919. 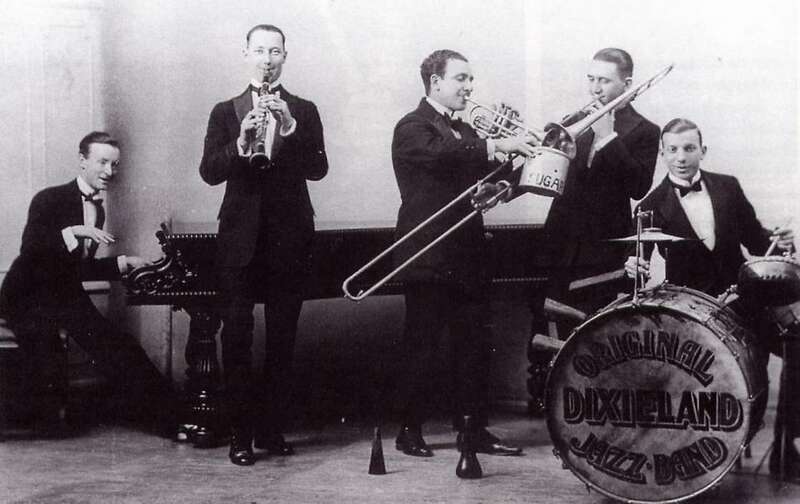 Delysia recorded ‘You’d Be Surprised’ for the Columbia label (F-1043) in London on or about 9 April 1920. Baby Won’t You Please Come Home (Charles Warfield, Clarence Williams) – Bessie Smith’s 1923 recording was the first hit with this jazz standard. Harry James with Betty Grable – I haven’t discovered the source of this clip yet. Evidently a WWII era film. 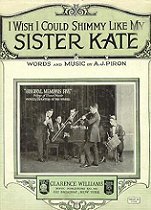 “Sister Kate” is an up-tempo jazz dance song, written by Clarence Williams and Armand Piron and published in 1919. 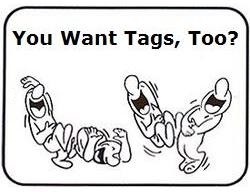 It is variously believed to be based on a bawdy tune by Louis Armstrong (about Kate Townsend, a murdered brothel madam) or transcribed from a version performed by Anna Jones and Fats Waller. Wilbur De Paris and his New New Orleans Jazz Band at the Juan-les-Pins Jazz Festival in France, July 1960. 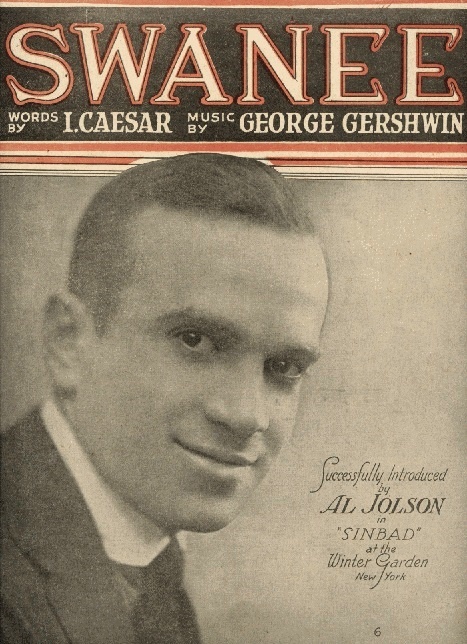 Swanee was written for a New York City revue called Demi-Tasse, which opened in October 1919 in the Capitol Theater. 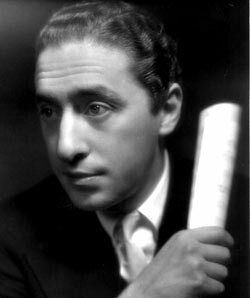 Caesar and Gershwin, who was then aged 20, claimed to have written the song in about ten minutes riding on a bus in Manhattan, and then at Gershwin’s apartment. It was written partly as a parody of Stephen Foster’s “Old Folks at Home”. It was originally used as a big production number, with 60 chorus girls dancing with electric lights in their slippers on an otherwise darkened stage. 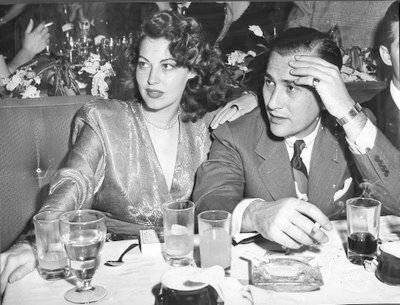 Cole Porter happened to meet Raymond Hitchcock, the producer and star of a series of Broadway revues called Hitchy-koos, aboard ship while returning from his stay in Europe during World War I. 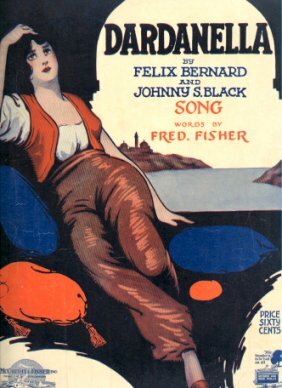 After hearing some of Porter’s songs Hitchcock engaged him to write songs for his 1919 show. 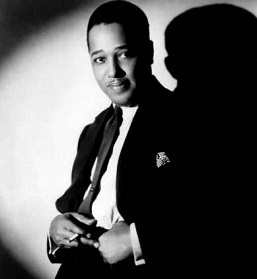 Old-Fashioned Garden became Porter’s first hit. 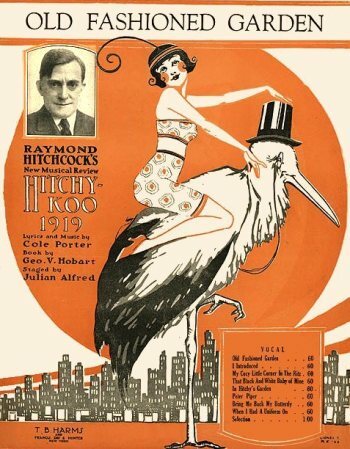 Hitchy-koo of 1919 debuted on Broadway at the Liberty Theatre on October 6, 1919 and closed on November 22, 1919, running for a total of 56 performances. The show later toured the United States.